Apple has forgone it’s one size fits all mantra for the iPhone line announce two new phones at it’s event at the Flint Center for the Performing Arts at De Anza College in Cupertino: the iPhone 6 and the iPhone 6 Plus. The iPhone 6 has a larger 4.7-inch display that has what Apple calls Retina HD, a resolution of 1334 x 750 with 326 pixels per inch. 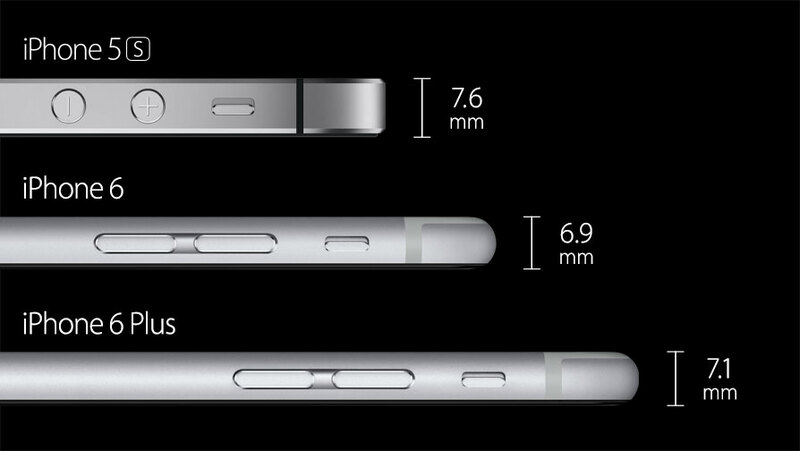 The design comes in thinner at only 6.9mm. iOS 8 on the iPhone 6 supports landscape view. The new A8 CPU promises to deliver 25% faster processing and 50% better graphics. The iPhone 6 Plus has a larger 5.5-inch display that has a resolution of 1080 x 1920 full HD. The design comes in at only 7.1mm. iOS 8 on the iPhone 6 Plus supports landscape view. Both phones carry a new 8-megapixel iSight camera with a 5-element lens, Apple’s True Tone flash, f/2.2 aperture, and an all-new sensor with 1.5µ pixels and phase detection autofocus. The bigger iPhone 6 Plus also comes equipped with image stabilization which for some reason doesn’t seem to be included on the smaller variant. The new camera will also allow the new iPhones to record 1080p video at up to 60 fps as well as in slo-mo with frame rates up to 240 fps. 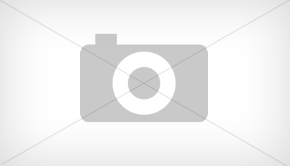 The front-facing FaceTime HD camera is also features a larger f/2.2 aperture. Apple is also equipping the new phones with it’s new A8 processor with an M8 motion coprocessor, NFC for Apple Pay and iOS 8. 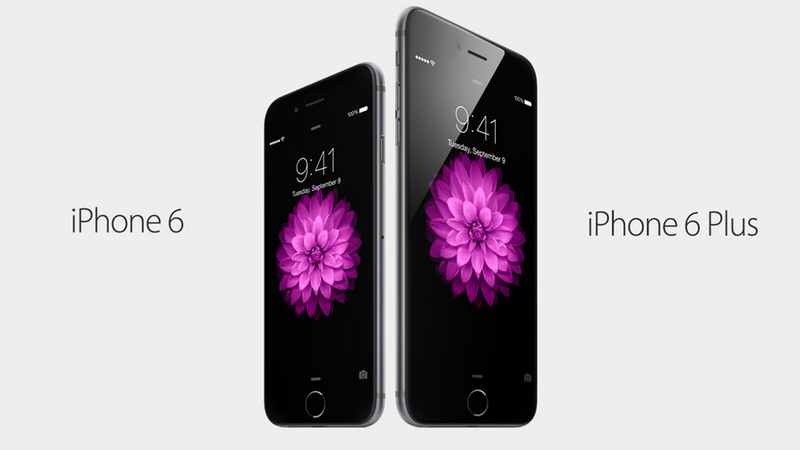 The iPhone 6 starts at $199 for a 16GB model, $299 for the 64GB model and $399 for the 128GB one (on contract). The iPhone 6 Plus is priced a bit higher at $299 for a 16GB model, $399 for the 64GB model and $499 for the 128GB one (on contract). Pre-orders for both phones begin on Friday, September 12th and in-store sales and shipments start one week later on Friday, September 19th, in the US, UK, Australia, Canada, France, Germany, Hong Kong, Japan, Puerto Rico, and Singapore.